Welcome back to day three of the countdown teasers for the April release from Clearly Besotted. I hope you are all enjoying the teasers so far, just a few more days until the sets release on 1st April. Today I have a far from clean and simple card for you. 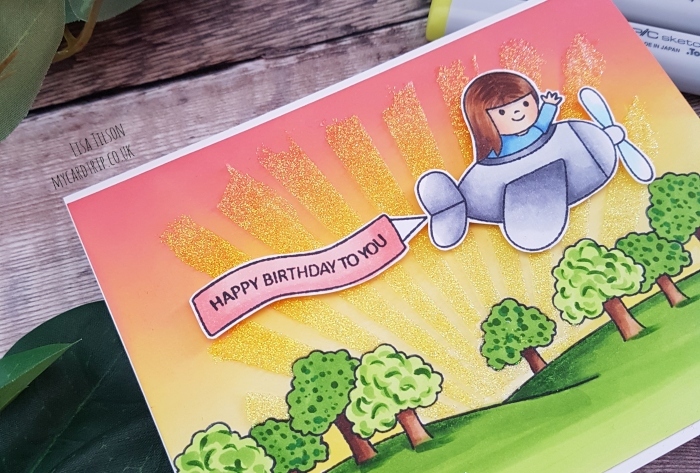 I often wonder what my style of cardmaking is, I have friends that say I have a “style” particular to my cards but I don’t really know how to define it to be honest! For example, day 1 of the teasers showcased an interactive card, day 2 featured a clean and simple card and today, I have absolutely no white space at all! So here is my card for day three. 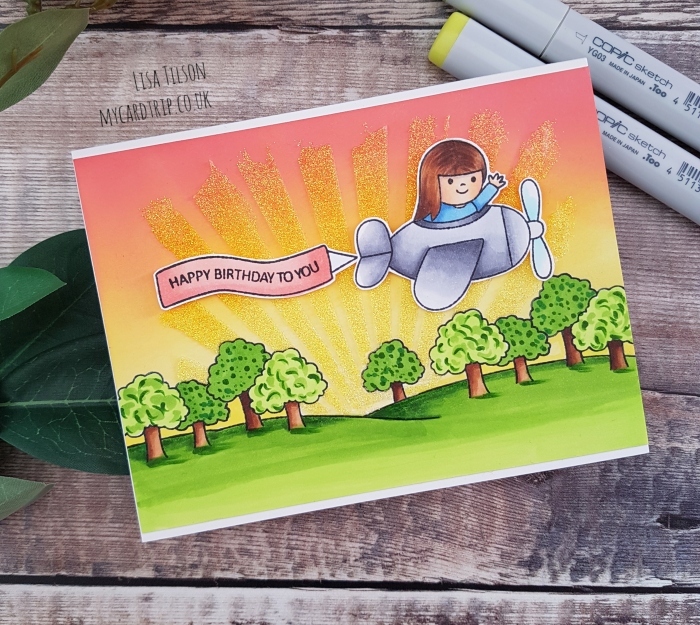 This card involved a mix of ink blending, Copic colouring, masking and stencilling, none of which are new for me, but all on one card and with no white space, maybe! 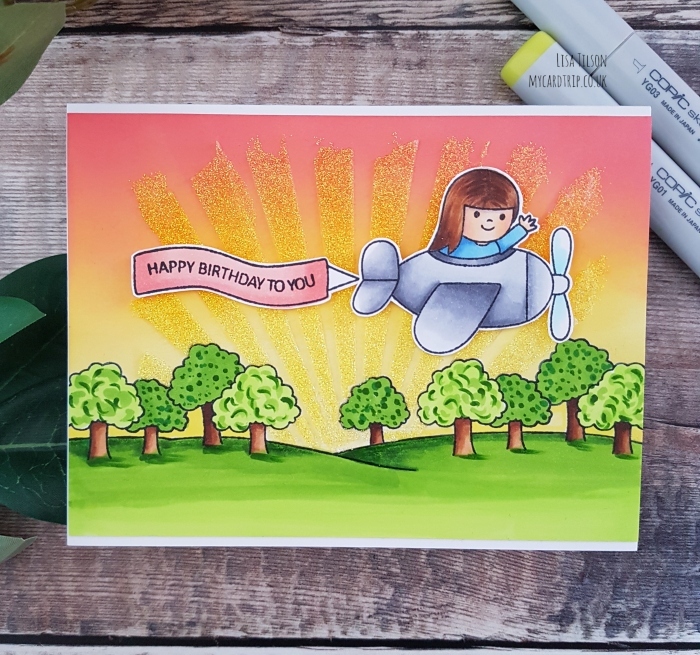 So this card features a little A7 set called Fly With Me and it contains the plane, a banner with sentiments to fit plus a little boy and girl image that sit nicely in the cockpit. I did the usual with my images, stamped onto Neenah with Memento Tuxedo Black and coloured with Copics. I did mask the top of the seating area in the plane before stamping the little girl but you probably don’t need to. The images were fussy cut but you will be able to get coordinating dies if you prefer that. I set them aside to work on my background. The background features a fantastic new set called Scene It More. It contains four different images to build a scene and I chose the fields with trees for my scene today. Clearly Besotted already have a set out called Scene It which has four different scene building images and I use it so often, so I am really pleased to see they have added another one to the collection. The new set also features a beach scene, a row of houses and some fields. The tree/fields image fits vertically across a panel but I wanted a horizontal card (to accommodate the plane/banner), so I stamped the image about a third of the way up from the bottom of the card. I then stamped and cut a mask to cover it before stamping again at each end to get a complete landscape across the panel. I left the masks on and blended Abandoned Coral, Wild Honey and Squeezed Lemonade Oxide inks from the top of the panel downwards. I removed the masks (magical!) and Copic coloured the trees and fields. To give a bit of variation to the trees, I used two different combinations of greens and I added some dots into some of them and some little “c’s” into the others. It was at this point I thought I would add some sun rays using the Sunny Day stencil, so the masks were relaid and the stencil placed over the top. I took some Moonstone Nuvo Glimmer Paste and applied it through the stencil before leaving it to dry. It doesn’t take as long to dry as texture paste but I did leave it about 30 minutes to make sure it was dried before popping the plane and banner on with foam tape. Lastly, I trimmed the top and bottom of the panel and adhered it to a base card with DST. No other embellishments as I felt it had enough sparkle already! Thanks again for joining me today, I will be back with my final teaser for you tomorrow. 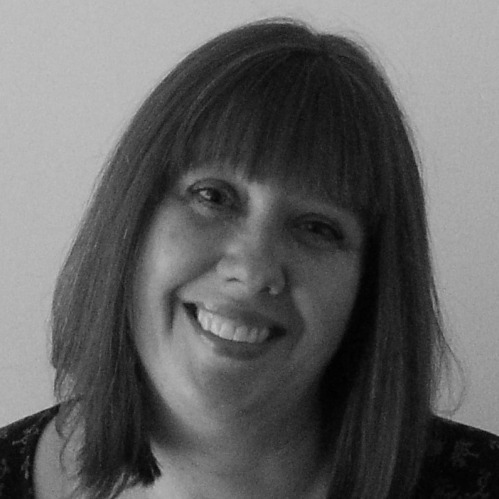 In the meantime, if you have a spare 10 minutes to see what my teamies have been up to, I am sure they would appreciate a visit – Stephanie, Michelle and Keren. i love it!!! Somehow, it looks like you in the plane, wishing someone a happy birthday.